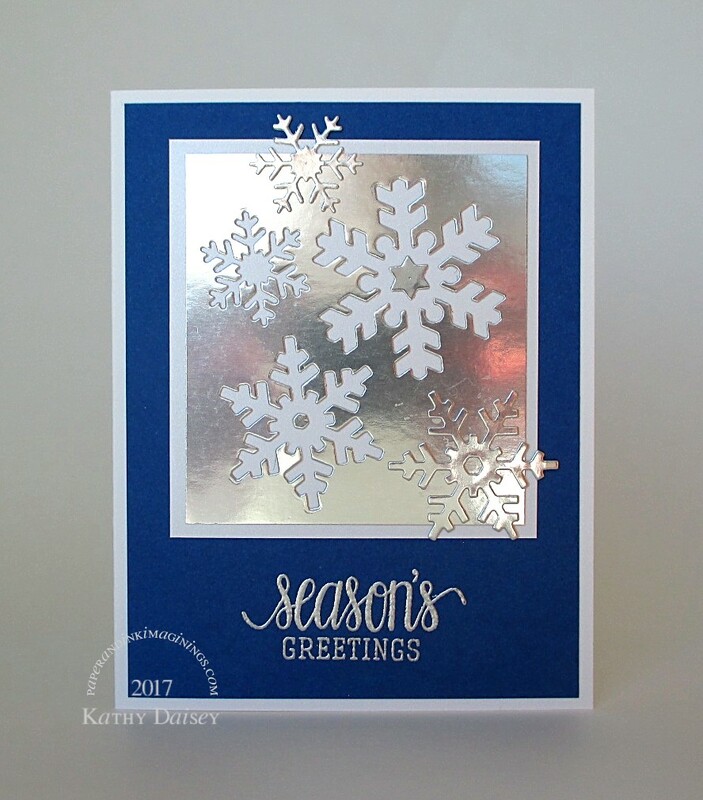 I had a scrap of silver mirror paper, with snowflakes cut out…I needed to figure out how to use it. Turns out it was not square/even (I kept it, need to figure out if I have a shape die that will preserve most of it! ), so I made a new scrap, and saved the center pieces of the snowflakes to glue onto the design. The mirror piece was mounted on Shine shimmering paper. Before I got around to photographing the above card, I got serious with the other leftover snowflake scrap. I decided an oval die would preserve the most for me. The snowflakes I added were cut from Shimmering White card stock. I am linking this up to Simon Says Stamp’s Christmas Card Day post – the random winner will get a $100 gift card. Supplies: Stamps – Hero Arts, Simon Says Stamp, paper – Gmund Royal, Neenah Classic Crest Solar White, Stampin’ Up! 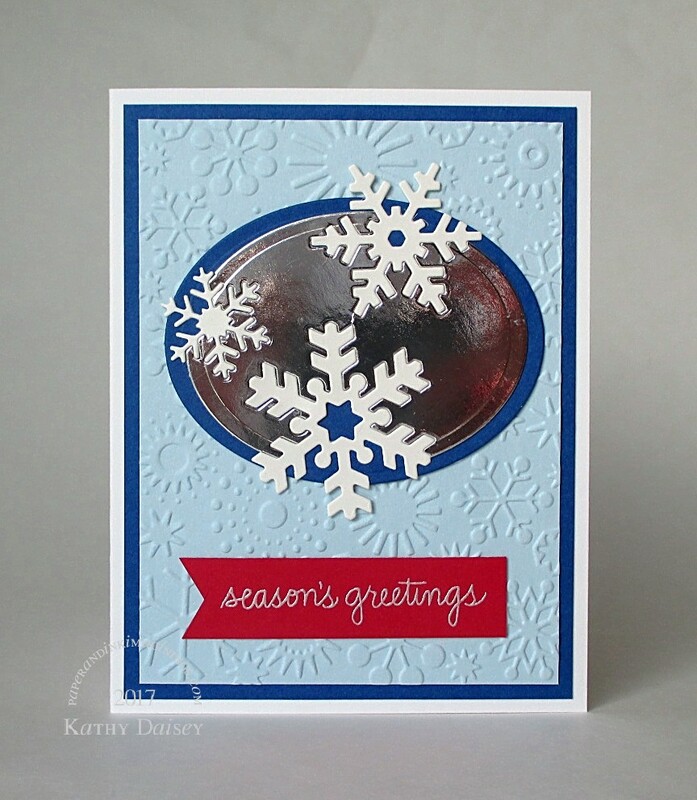 Bashful Blue (retired), Real Red, Shimering White, Silver Foil, Shine Pearl, ink – VersaMark, dies – My Favorite Things (snowflakes), Spellbinders (ovals), embossing folder – Provo Craft, embossing powder – Ranger Silver Pearl, Stampin’ Up! Sterling Silver. Categories: card, holiday | Tags: card, Gmund, Hero Arts, My Favorite Things, Neenah, Provo Craft, Ranger, Shine, Simon Says Stamp, Spellbinders, Stampin' Up!, Tsukineko, VersaMark | Permalink.